Despite a perfect opportunity last week to announce its new device, Asus waited until right after CES to reveal and launch an Android tablet going by the name MeMo Pad. 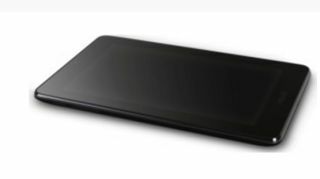 The MeMo Pad features a 7-inch display with 1024 x 600 resolution, running on a VIA WM8950 1GHz Mali 400 CPU and Android 4.1: Jelly Bean. If those specs sound familiar, that's because the MeMo Pad is a dead ringer for the Asus ME-172V that appeared in benchmarking tests late last year. Now under the MeMo Pad name, the tablet includes 1GB of RAM, either 8GB or 16GB of storage, an SD card slot, a 1-megapixel front-facing camera, and a 4270mAh battery that Asus claims can survive for seven hours. When it comes to specs, the MeMo Pad doesn't quite live up to other tablets from Asus like the Google Nexus 7. However, Asus has given the MeMo Pad a unique advantage when it comes to price, with the tablet launching for $149. The MeMo Pad will start shipping later in January at that budget-friendly price "in select markets." Asus didn't provide an exact date or which markets it selected, but the U.S. pricing indicates that at least North America is on the list. The MeMo Pad seems poised to take on the Kindle Fire when it comes to size and price, though the stealth launch is likely not doing it any favors. Asus is not taking pre-orders on the MeMo Pad, so interested buyers will have to keep a keen eye out for when the tablet goes on sale in the coming weeks.